A man was spared jail after he dropped his partner’s baby and tried to cover up the incident. The four-month old boy suffered a fractured skull after David Haury dropped him from a height of around six feet, causing him to strike his head on hard laminate flooring. Haury, of Kensington Drive, Leigh, had been looking after the child and his girlfriend’s other two-year-old boy whilst she went out to play bingo. When his partner returned later that evening, she noticed the infant’s head was badly misshapen, adding that she “felt sick” upon seeing the injury. But when she questioned Haury about the injury, he denied all knowledge of the incident. Paramedics were called, who saw no signs of distress but said the baby seemed unhappy. They offered to take him to hospital, which the couple accepted. An X-ray revealed two fractures to the skull, and the 22-year-old sought the advice of a solicitor before admitting to dropping the baby. Haury claimed that he had felt dizzy after picking the child up, and suffered a chest pain which caused him to drop him. The prosecution said: “This was wilful neglect. He did not tell medical staff what he knew as soon as it happened. Haury’s solicitor told magistrates: “He did something in crass stupidity. “He panicked and didn’t tell anybody, but nobody is suggesting this was a deliberate act. 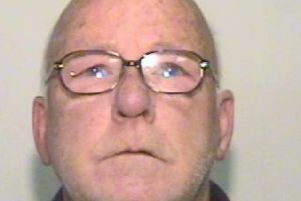 Haury pleaded guilty to neglect and ill-treatment of a young person at Wigan and Leigh Magistrates Court. He was given a prison sentence of 20 weeks, suspended for 12 months. He must also undertake 20 days rehabilitation activity requirement, 100 hours unpaid work and must pay £200 in costs.